FPGA Design | SoleNet, Inc. | Electronic Services, Board Design, FPGA Design, RF Design, Mechanical Design, Embedded Software, System Analysis. Fusion, Gating, Automatic intensity control, Advanced Gen-locking techniques, PIP processors. Scaling, histogram analysis, 2-dimentional digital filtering. FFT processors, FIR and IIR filters and correlators, math co-processors, scramblers, FEC decoders, digital modulators and demodulators. Per vast variety of industry standards such as SONET/SDH, Ethernet, DOCSIS, DVB and IntelSat. CameraLink, DVI, 8B/10B and 10B/12B serial LVDS, Gigabit Ethernet, 10/100 Ethernet, USB 2.0 interfaces up to 480Mbps, SMPTE-259, SMPTE-292, BT.656, DVB ASI, Hotlink, POS-PHY, Utopia Level2/Level3, various PCI interfaces, SPI and I2C interfaces. SDRAM, DDR SDRAM, SSRAM and CAM. 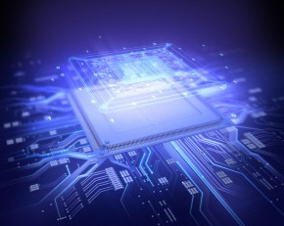 SoleNet is a proud partner of Xilinx's Xpert program. See the Altera and Xilinx parts we have designed with.